Joy Alexander, age 60 of South Bend, went home to be with the Lord on Saturday, April 6, 2019 surrounded by her loved ones at the Center for Hospice in South Bend. Joy was born August 23, 1958 in South Bend to the late Joseph and Willadene (Kesler) McFarland. Joy is survived by her companion of 18 years, Lonnie Garvey, her children Misty (Bryan) Alexander and James (Laura) Alexander. Surviving as well are fourteen grandchildren, Brittany and Jacob Monteiro, Brandon Simmons, Matthew, Dakota, and Joseph Stevens, Angelica, Sophia and James Jr. Alexander, Riley Ball, Benjamin and Elizabeth Johnson and Teresa Baumgartner and her best friend Deborah Baumgartner. Surviving as well are her sisters Georgia Glover and Patricia Schroeder, her brothers Dewey (Rebecca) McFarland and Robert (Karen) McFarland, many nieces and nephews and her two beloved dogs Molly and Sophie. She was preceded in death by her parents, a sister Cathleen Wolfe, a daughter Deanna Johnson and her grandson Gabrielle Johnson. 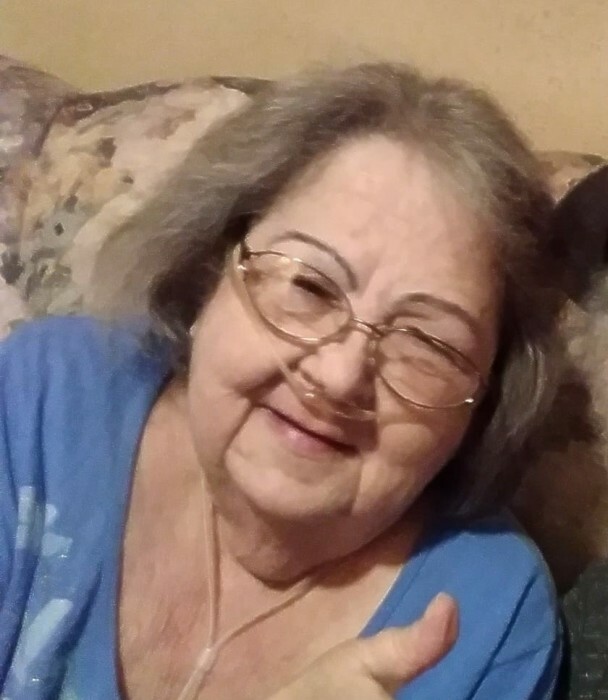 Visitation will be held one hour prior to the 1:00 pm Funeral Service at Cruz Family Funeral Home in Osceola on Tuesday, April 9, 2019. Following Joy’s wishes, cremation will follow, and her ashes scattered in her favorite places. Joy loved fishing and everything about nature. Joy and her sisters enjoyed planting flowers and she will be remembered for her “green thumb.” Above all, she loved her savior God and His Son, Jesus Christ. She cherished the time she spent with her family on Huyck Lake in Marcellus Michigan and Sir Isaac Walton’s in South Bend. She was the foundation for many other family members’ lives, while her family members were her life. While her family loved her more… she loved them “mostest.” She will be extremely missed by all who knew her. The Alexander family would like to recognize and show appreciation to all who gave care and support to them and Joy during this challenging time. In her memory, donations may be given to the charity of the donor’s choice. To leave a condolence, view Joy’s online video tribute or light a virtual candle in her memory, please follow the links provided on the Tribute Wall tab above.